Discover Central California's purpose is to provide you, our readers and visitors, with free, quality travel information that is available no where else and from a local's perspective. Access to this information here is no cost to you, but it does involve time, effort and expenses on our part. In order to offset those expenses, we participate in affiliate programs and accept advertising and sponsorships. We review these offerings and when they involve services such as restaurants, hotels, shops or the like, those sponsors are places that are known to us and have met our high standards for quality and service. However, since the products and services offered aren't under our control, we can make no guarantees. The last thing we would want to do is to recommend someplace that would not please you. We are asked, at times, to write a review and compensation may be offered (monetary or in-kind). If this is the case, the requesting party is informed that our review will be honest and forthright. Neither is a positive review based on the compensation. In situations where there is compensation offered for a review, we will make note of that fact in the review itself. If you enjoy the free content provided to you at Discover Central California and would like this site to continue providing high quality information, we encourage you to support our advertisers, sponsors and affiliates. Another way to join in is to share your story and photos of visits to Central California with our other readers. Throughout Discover-Central-California.com you will find third party advertisements from Google Adsense and these are clearly identifiable as ads. HotelsCombined.com; Amazon.com; 5 Pillar program of SiteSell.com. These ads are certainly intended to generate revenue for the operating expenses of this site, but our first intent is that they provide a valuable service to you. If they are found not to provide that, they will no longer appear here. Some sponsors pay a monthly fee to appear on these pages. Others pay when their advertisement is clicked. Yet others pay when the ad is clicked upon and a service or product is purchased. Again, we always write our content based on what we see as the truth and not what an advertiser or sponsor would like said. 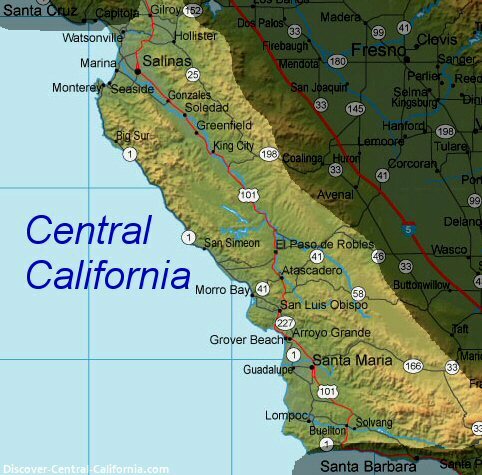 You can continue to explore the hidden treasures of Central California by following the links on the left side of this page or by searching for a topic below.